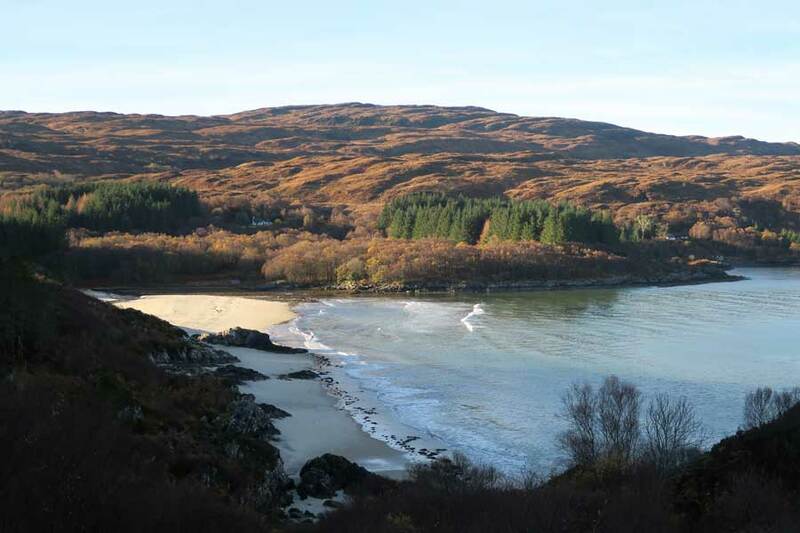 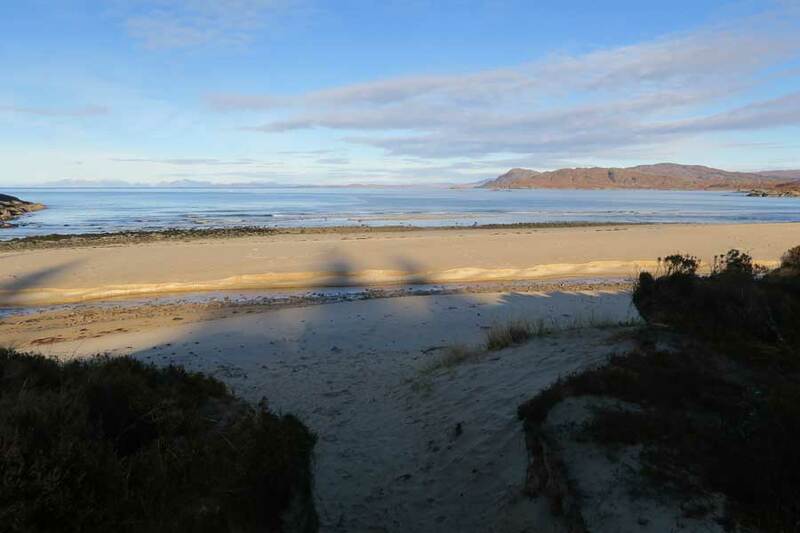 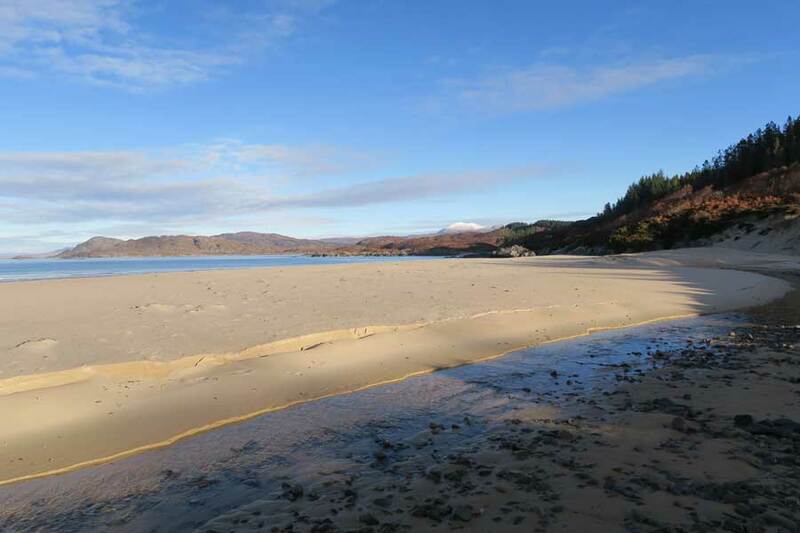 The Singing Sands, or Camas an Lighe is a lovely sandy bay near Gortenfern in the north east of the Ardnamurchan peninsula. 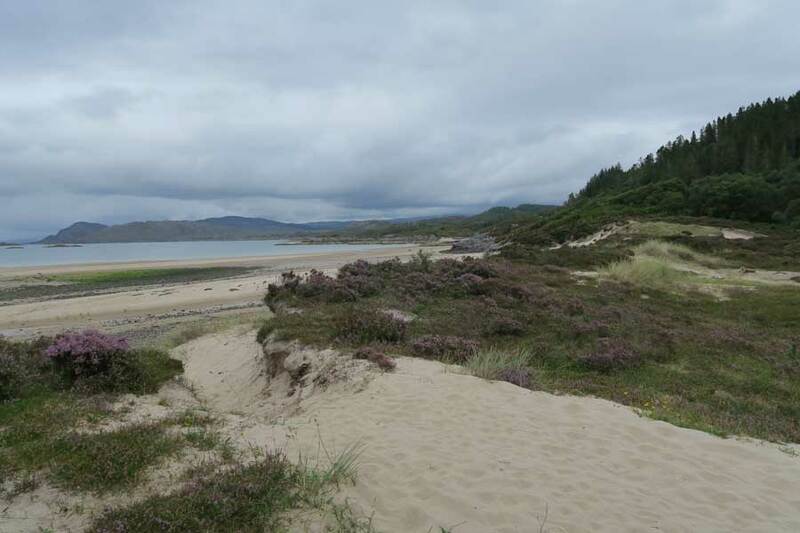 The beach forms part of a larger site assemblage of four bay dunes and is of high conservation interest on account of the acidic dune grassland, heath (Calluna-vulgaris, Empetrum nigrum- Carex arenaria) and mobile dunes. 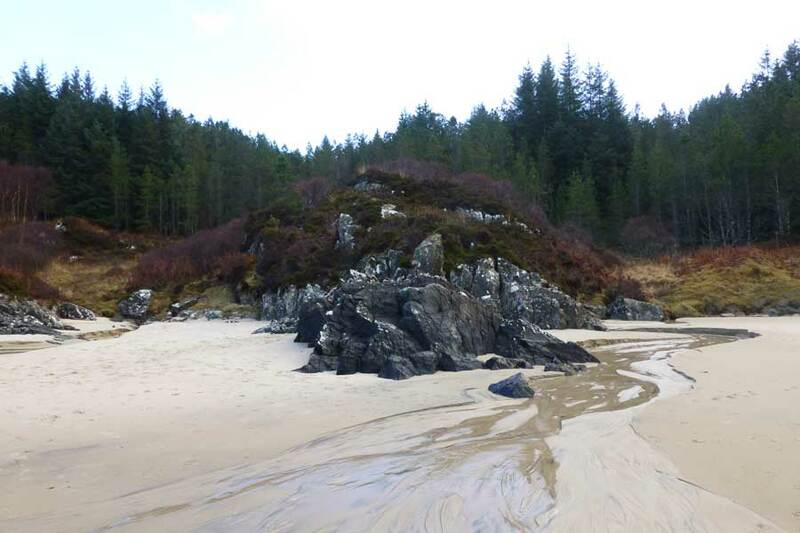 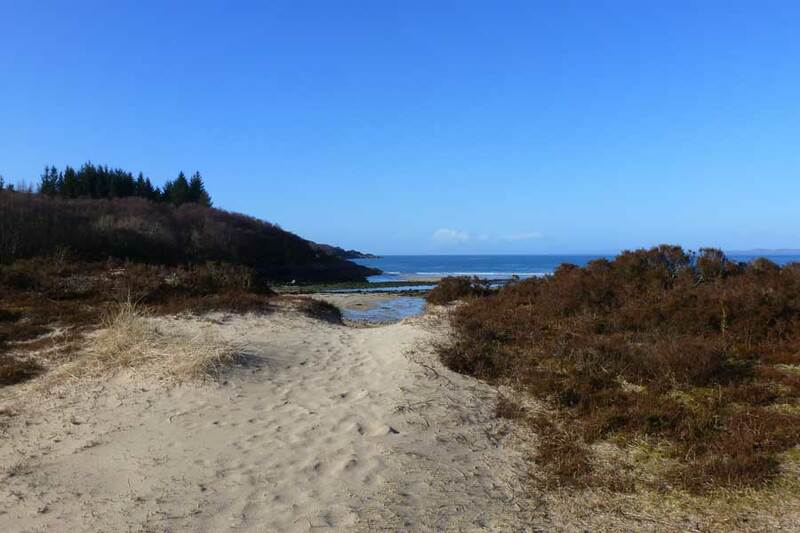 Camas an Lighe is a great place for a picnic, beach-combing and exploring the rocky coastline. 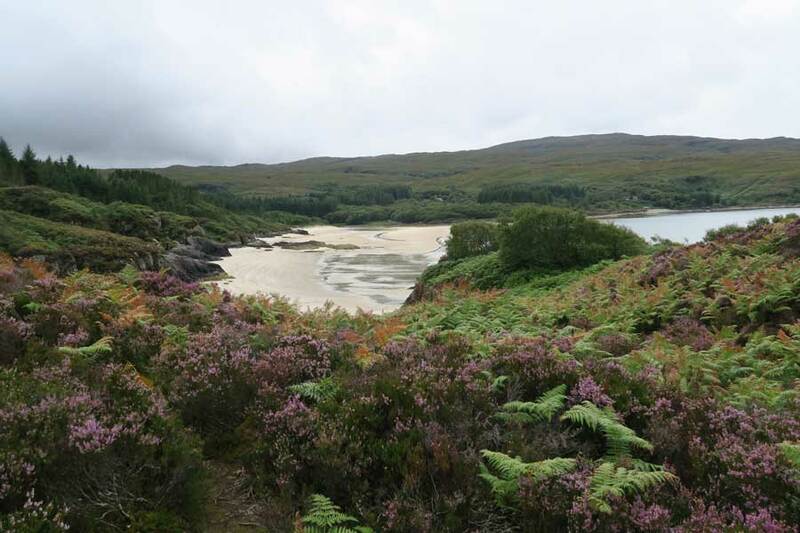 There are some lovely views of the Small Isles. 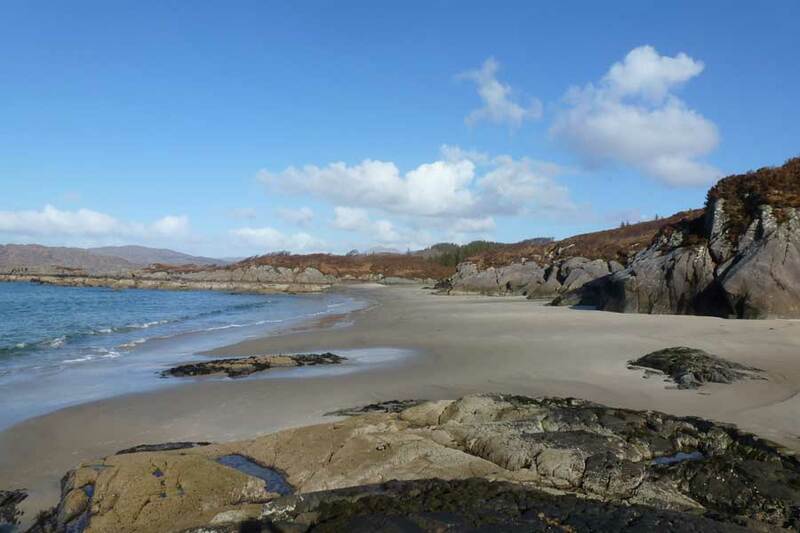 It is also a good place to look out for divers, cormorants and seals, as well as otters along the coastline. 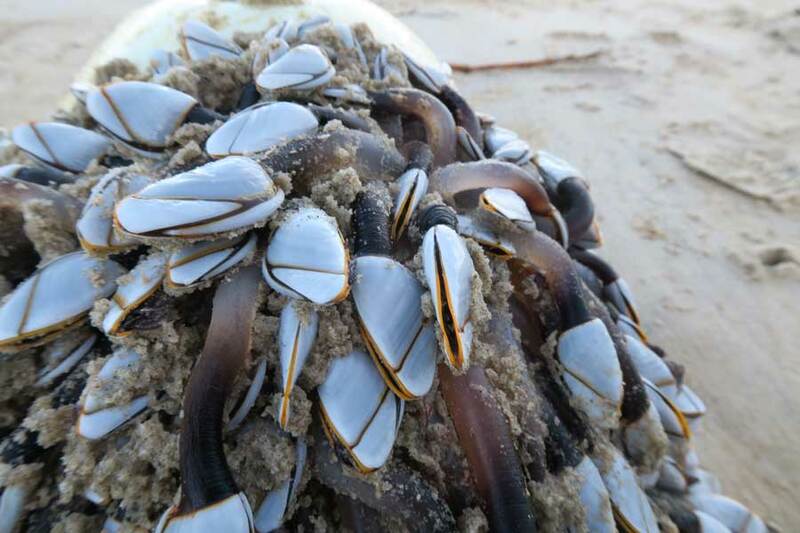 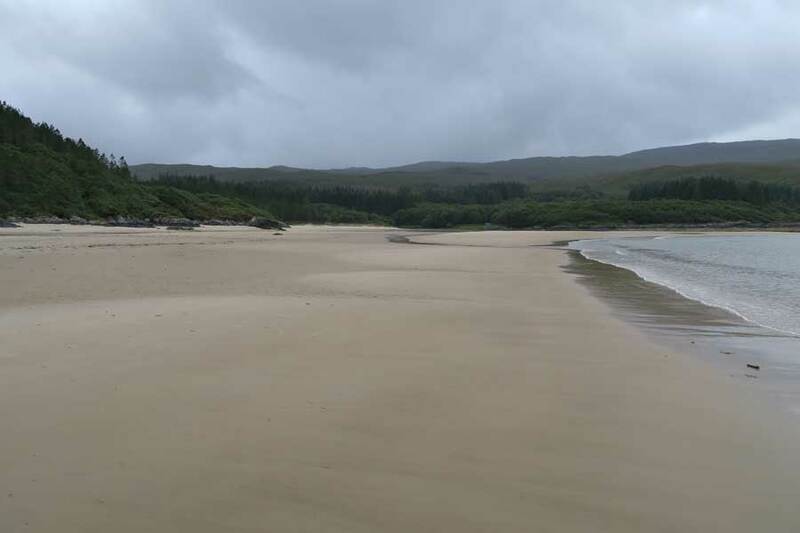 The beach is renowned for its singing sand, a predisposition caused by the shape and size of the sand grains and the silica content. 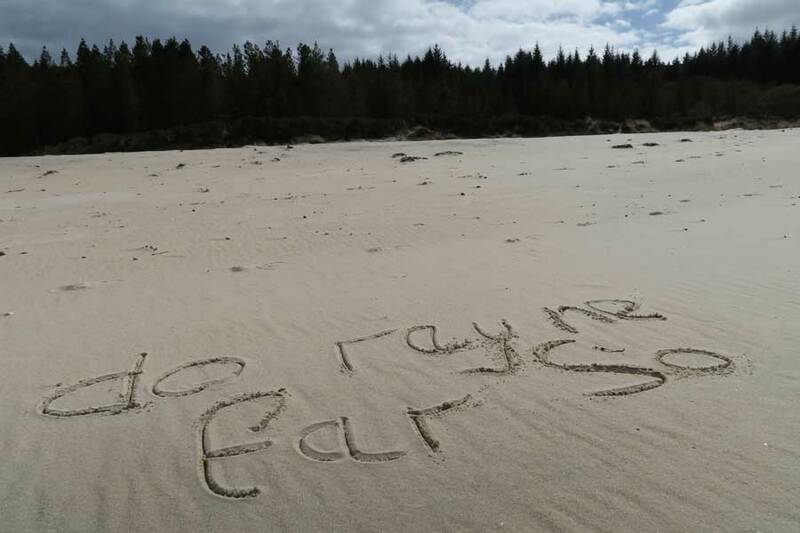 To 'sing' the sand also needs to be of the right humidity. 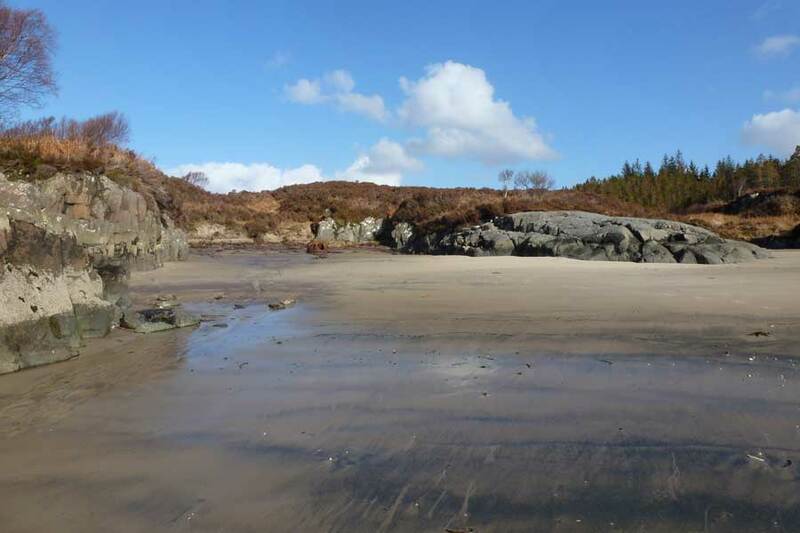 The sound is caused by wind blowing over the surface or by the shuffle of feet or boots through the sand. 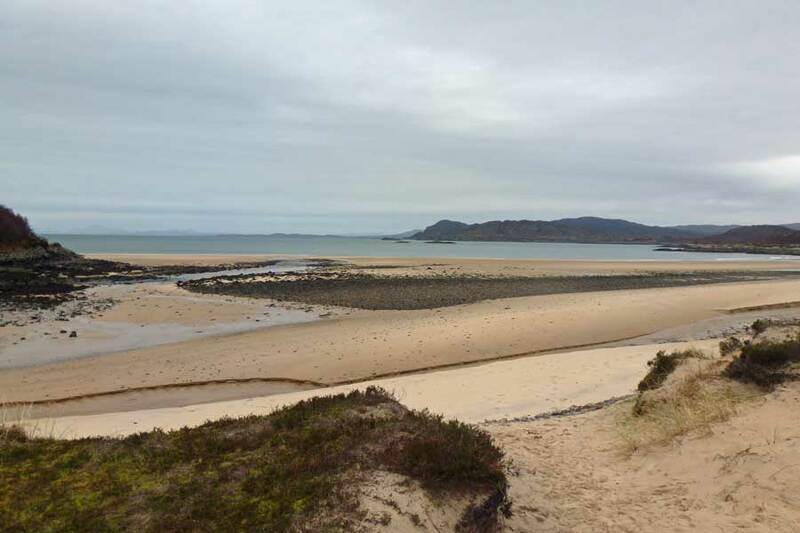 At low tide, you can head north east along the coast line to explore the other bays, including Cul na Criose. 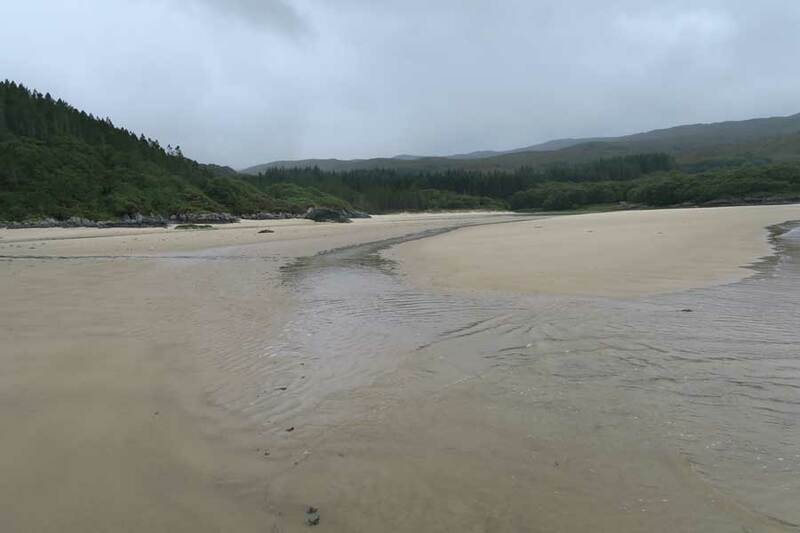 However, you will need to be mindful of the tide times to ensure they you can retrace your steps before the tide changes. 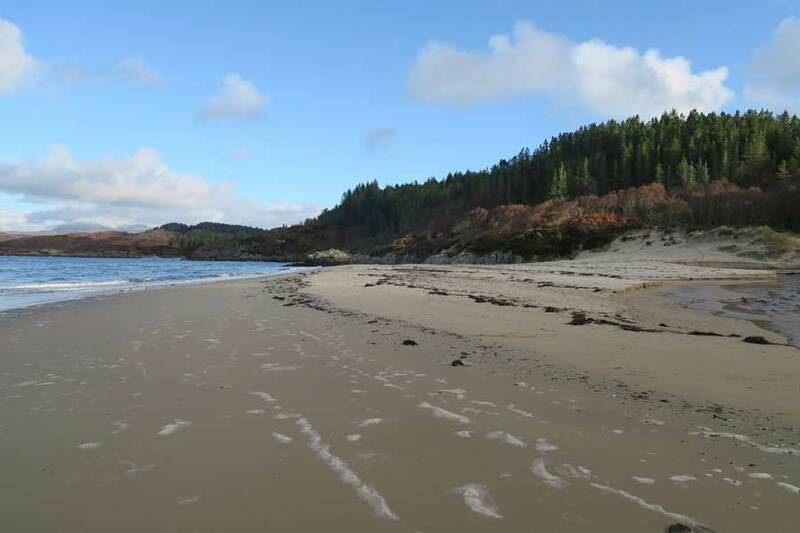 Please note that the beach and surrounding area was used for commando training during the Second World War and may contain unexploded munitions. 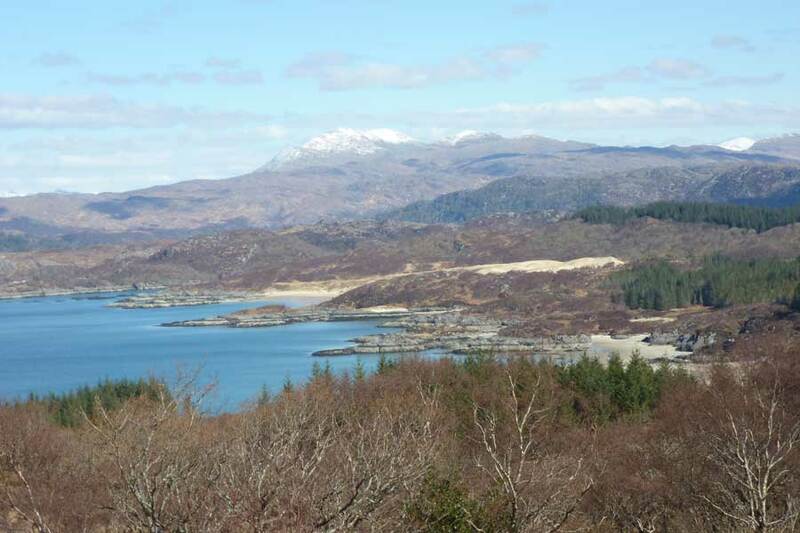 A battle associated with the 1745 uprising is also believed to have been fought here. 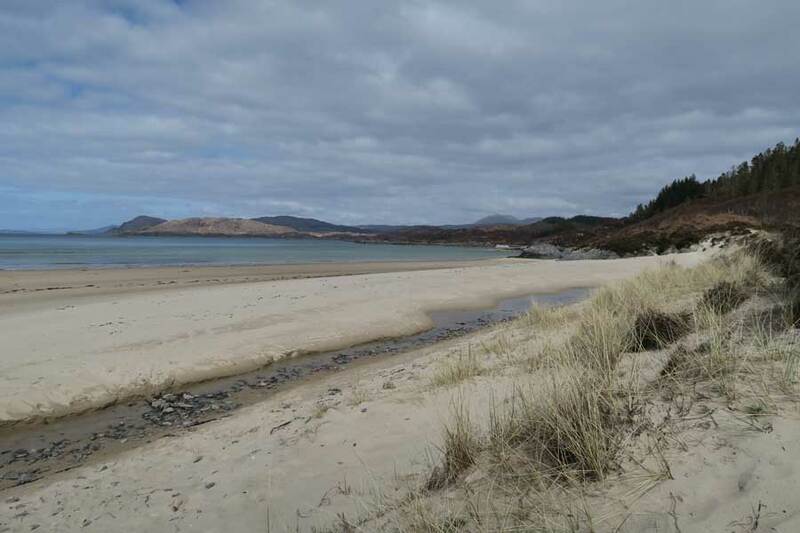 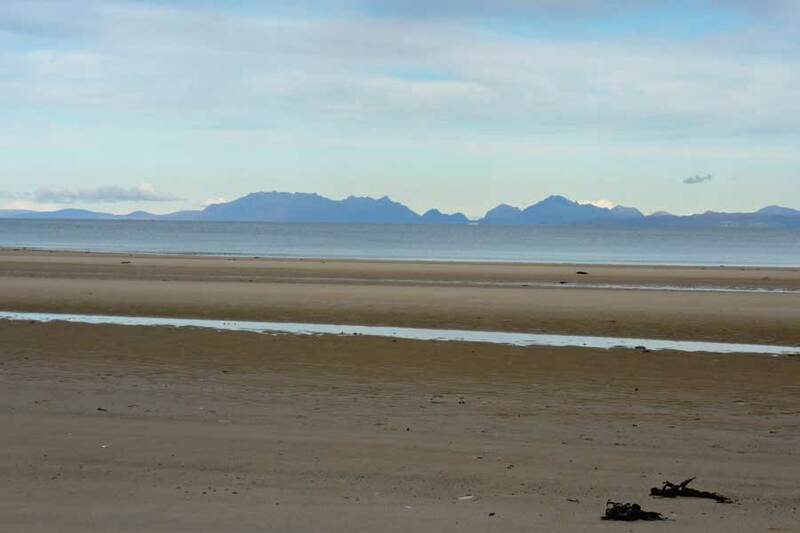 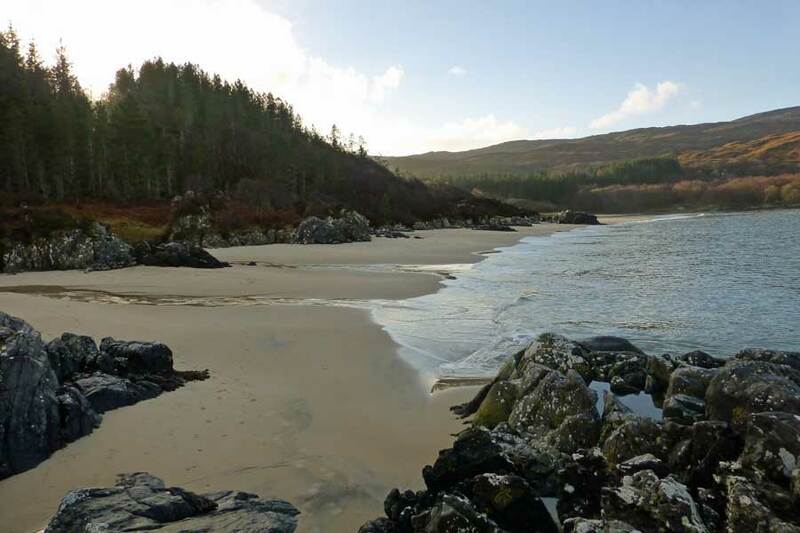 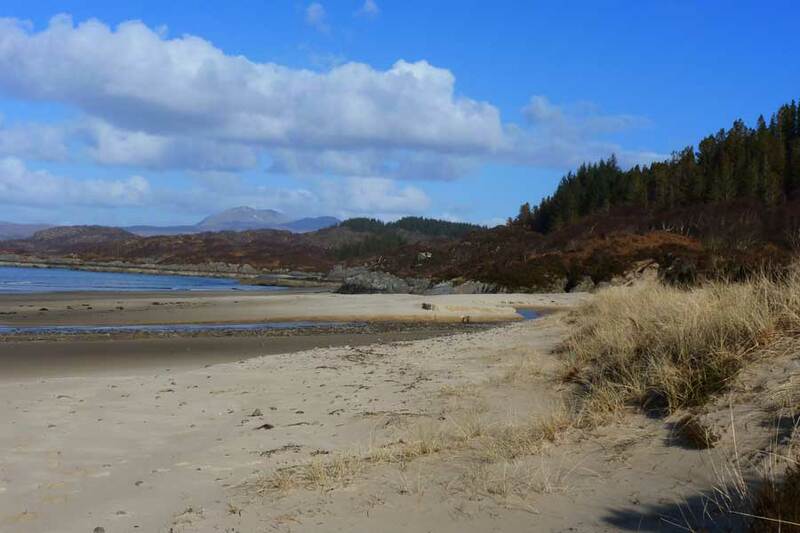 The Singing sands can accessed by walking along a 4km track from the village of Arivegaig (Kentra to The Singing Sands Walk) or from Ockle crossing over hill and moorland (Ockle to The Singing Sands Walk) on a slightler longer route.